Legambiente complaint that half of shoppers in circulation is managed by the eco-mafias. Organized crime has given rise to a new business focused on the production of fake biodegradable bags that do not comply with the regulation UNI EN 13432. The environmental damage arising from the not complying shoppers is obvious but it is not just the economic. For the disposal of counterfeit shopper it takes about 500 million euro which aggravate the costs for the disposal of waste charged by the community. Legambiente, to involve citizens in the hunt for counterfeit shopper, launched the campaign #UnSaccoGiusto and made a short film starring the actor from the TV series Gomorra, Fortunato Cerlino. Citizens can be an active part in the action against illegal biodegradable bags, in fact, realize of what is made the shopping bag you can! HOW TO RECOGNIZE A REAL BAG BIO? First of all it presents the marking “biodegradable” and a certification mark. In addition, the bag is soft by touching and if you approach a flame, it burns as if it were paper. The bio bag turns into only six months in non-polluting substances to the water and the land, the counterfeit one, on the other hand, is much more resistant and is able to withstand even 400 years. 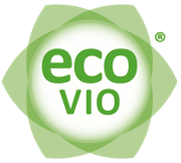 Arcoplex, the only Italian distributor of ecovio®, the biodegradable and compostable biopolymer produced by BASF, since 2014 strives to support all processors who make films or shopper in compliance with the regulation UNI EN 13432.